Create another file called manifest.yml, which outlines details about your application and its deployment in XSA. 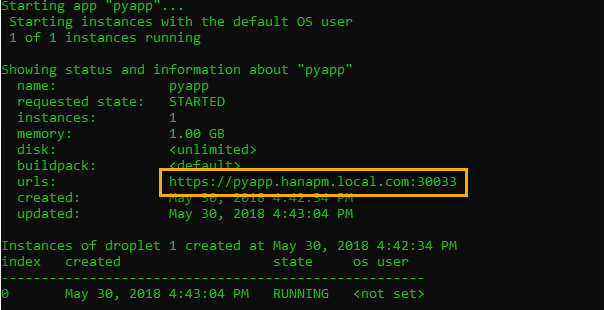 This is the application descriptor file similar to the mta.yaml file used for development on the SAP Web IDE for SAP HANA. As I mentioned earlier, you cannot use the Web IDE to build or run Python applications. 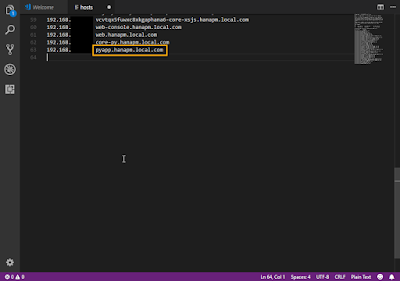 All Python development has to be done locally and deployed to the XSA server using xs push from the CLI. The downside of this approach is that xs push command cannot run Multi-Target Applications (MTA). It follows the pure Cloud Foundry approach where the manifest is required and only a single module is run at a time. The MTA concept has been added to the Cloud Foundry by SAP, but is not yet available for Python. In short, you have to use a manifest.yml file as opposed to a mta.yaml file for developing Python applications. 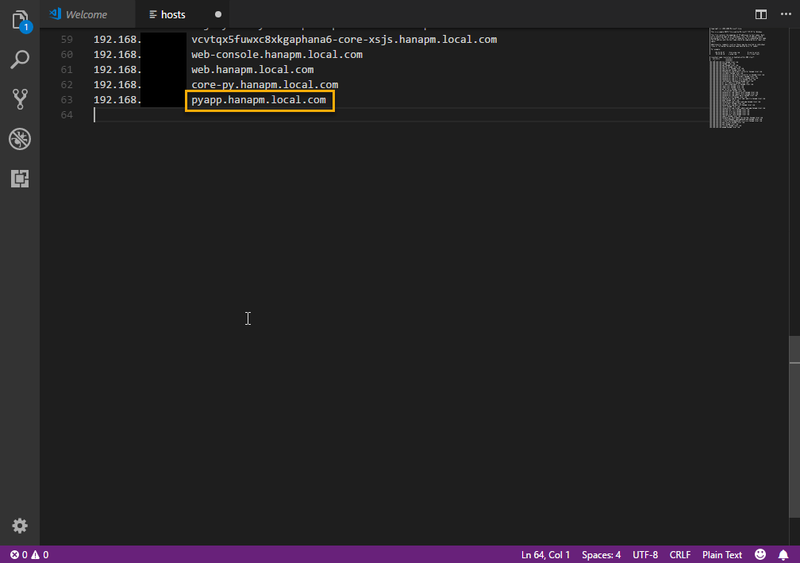 Create a file called server.py, which will contain the application logic. Copy and paste the following code into the file. This code snippet initializes a Flask application, assigns it a port to run on, and binds the hello function to the default URL using the route() decorator. 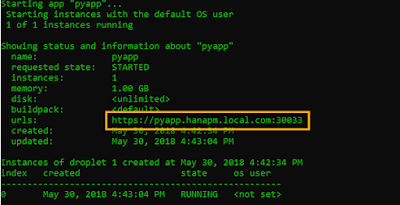 You can use @app.route(<URL (without hostname)>) to redirect users to a specific function in your Python application whenever that URL is requested.